Easter has become a particularly spectacular time for chocoholics like me, temptation stares out at me at every turn in the supermarket, it's leaping out of adverts all around me and, crucially, it's in my refrigerator (yes I like mine chilled). 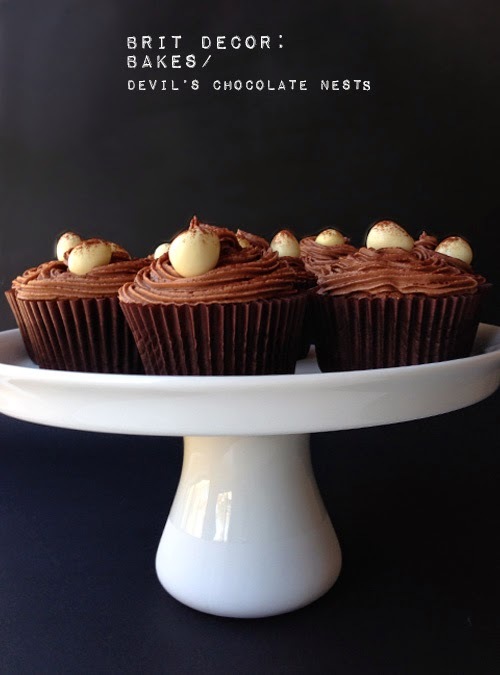 So when I created this latest batch of cupcakes especially for the Easter break, I thought it very apt to name these 'Devil's Chocolate Nests' because they may look like sweet and innocent little chocolatey nests, but these are seriously sinful! But we all need a treat now and again, right? 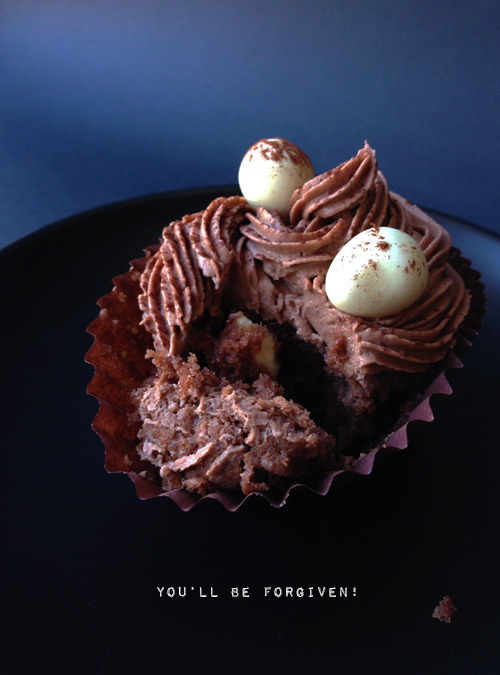 The combination of the chocolate sponge with the contrasting white chocolate chunks, topped with the silky smooth chocolate frosting and crispy coated mini-eggs is definitely suited for one of those 'I'm going to sit down and seriously indulge' moments. 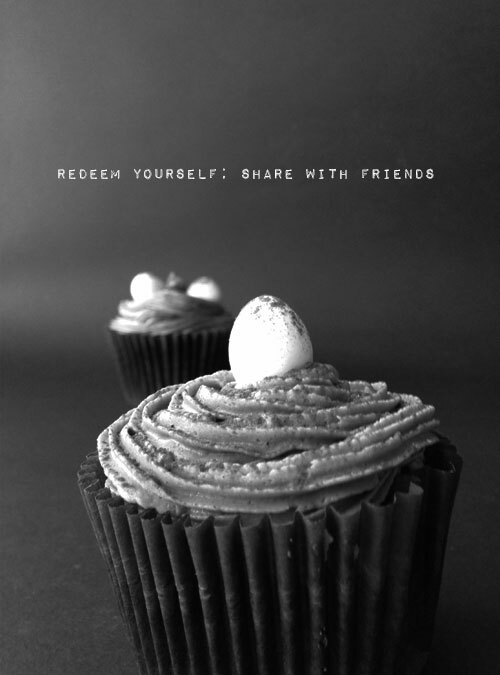 Of course, you can easily redeem yourself by sharing these devilish treats with your friends. Preheat your oven to 180oC and line a 12-section cake tray with paper cases. Chop up the white chocolate into uneven chunks and leave to one side. Meanwhile simply place all of the other cake ingredients into a mixing bowl and whisk together for a couple of minutes until smooth. Add the white choc chunks to the mixture and stir gently with a spoon. Divide the mixture evenly between the cases and place in the oven to bake for around 20 minutes. Once the baked cakes have cooled, mix together the butter, icing sugar, cocoa powder and boiling water with an electric mixer. Whisk until smooth and creamy before piping onto the cupcakes. 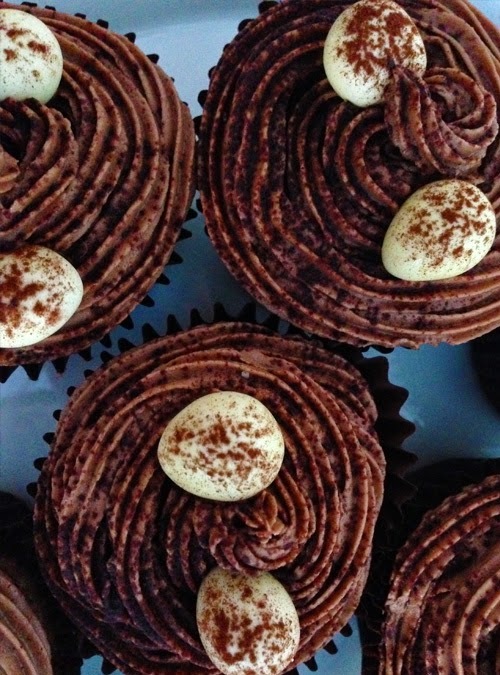 Finally, decorate with the mini-eggs and lightly dust with some cocoa powder.